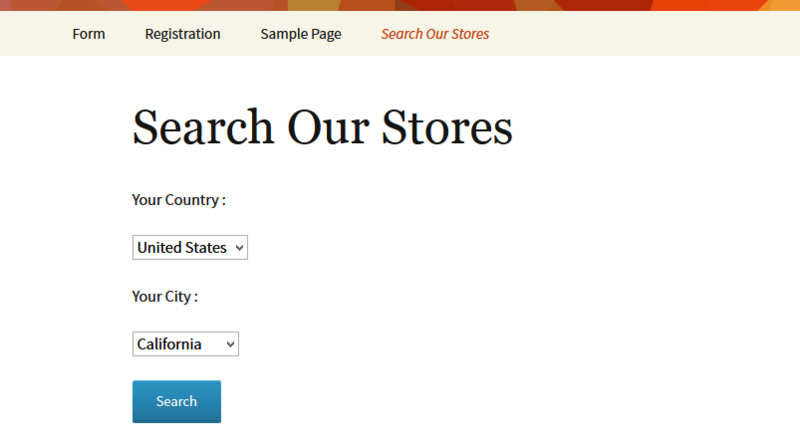 Search store location plugin works for visitors to allow them for finding your store location by searching through country/state/city name. 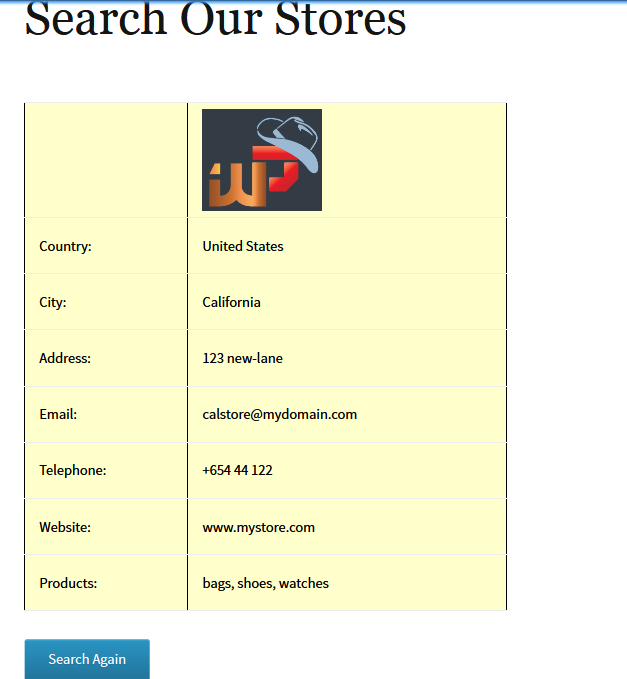 This plugin have option to add all your store location from admin settings & use shortocde to generate the search option in any pages or posts. This search results display in the same page by using ajax & can search more on more in the same page to view results. 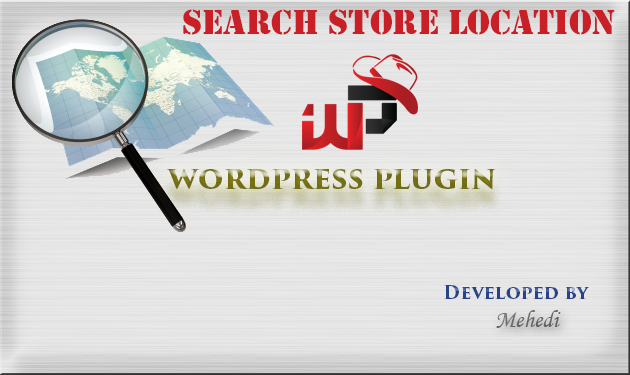 Install automatically through the Plugins-> Add New menu in WordPress, or upload the search-store-location.zip file to the /wp-content/plugins/ directory. Activate the plugin through the Plugins menu in WordPress. 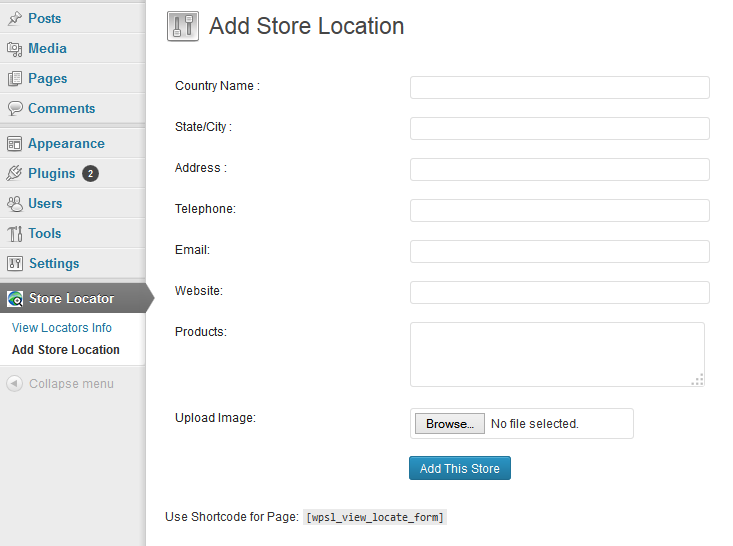 Look for the Add Store Location & View Store Location for the configuration of the plugin. 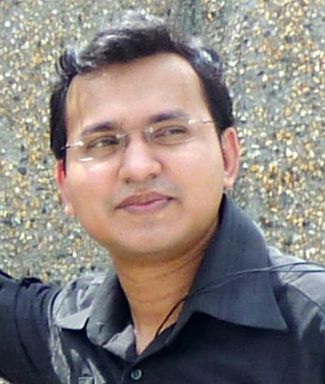 Use [wpsl_view_locate_form] to display the search engine in any page or post. This post has already been read 4360 times! Sorry, it was for one particular client. If you need one, you have to order or contact us. Thanks.